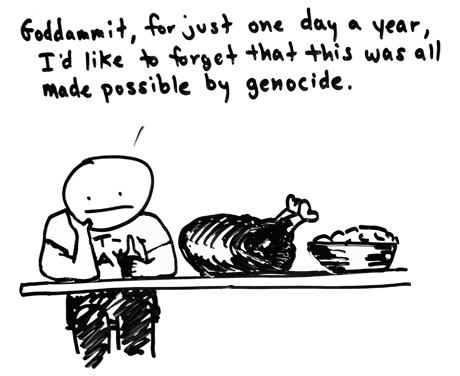 You set out to outrage but you can’t get arrested | Whiteboard "Comics"
well, my friends, a happy thanksgiving. may your turkeys be free-range and your sweet potatoes organic. oh, and what’s happening over here?